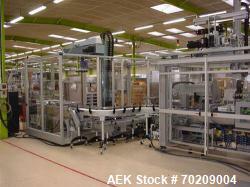 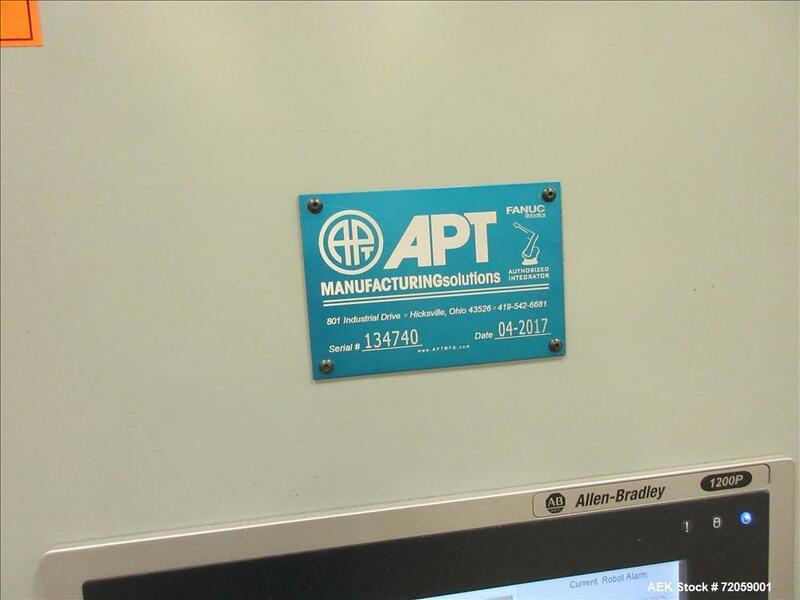 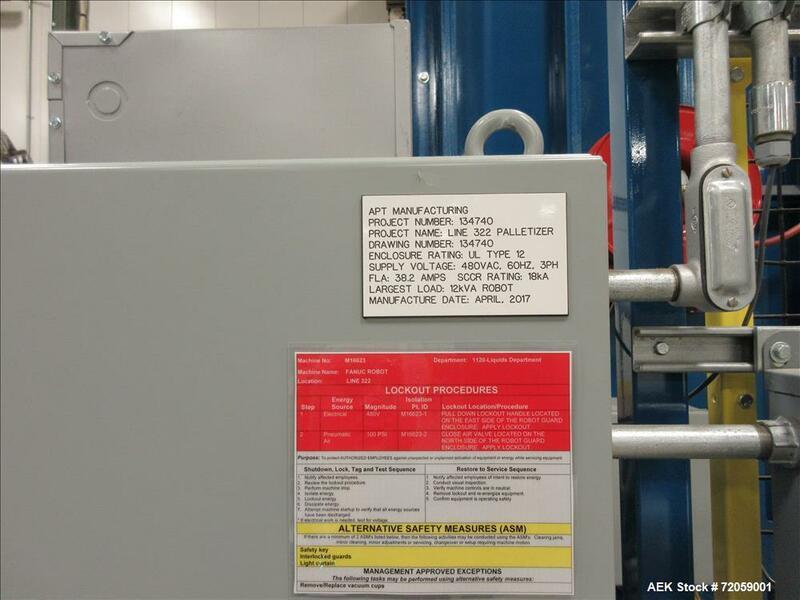 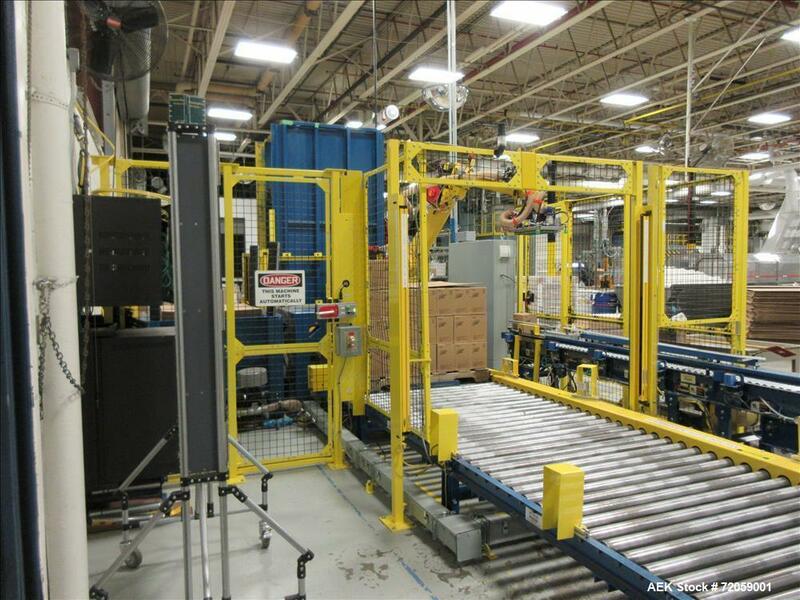 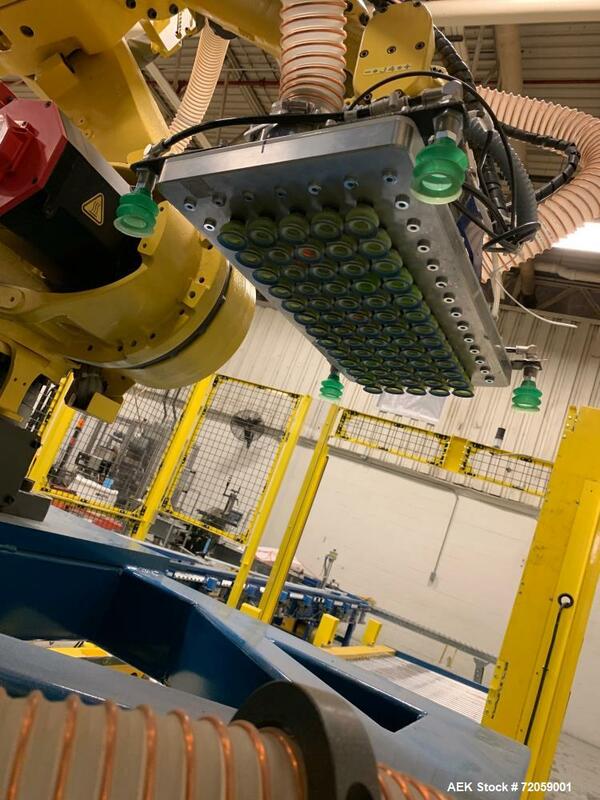 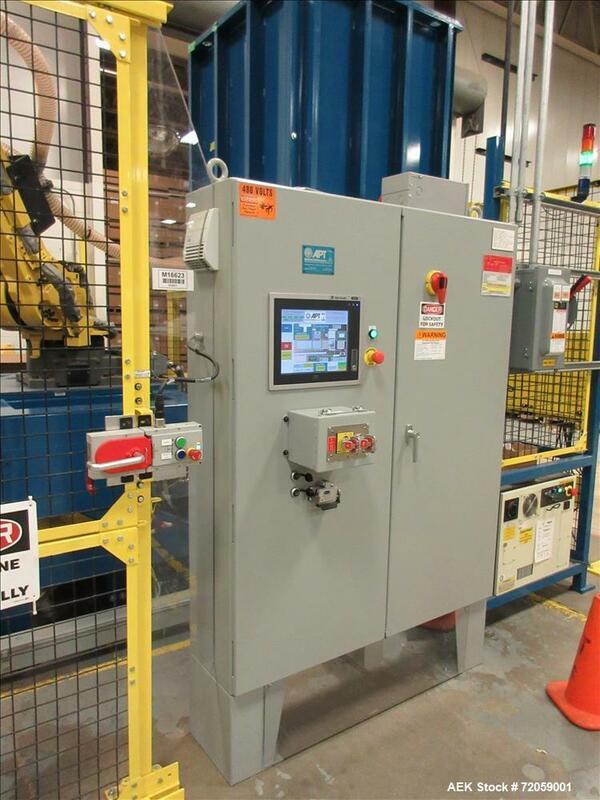 Used- APT Manufacturing Robotic Palletizing Cell with Fanuc Model R-1000 Robotic Arm. 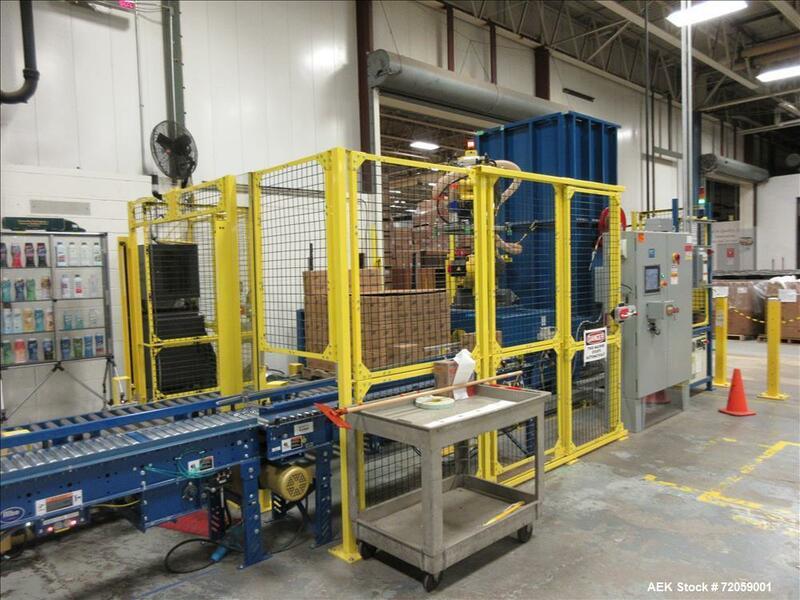 Installed in 2017 in household personal care operation packing corrugated cases. 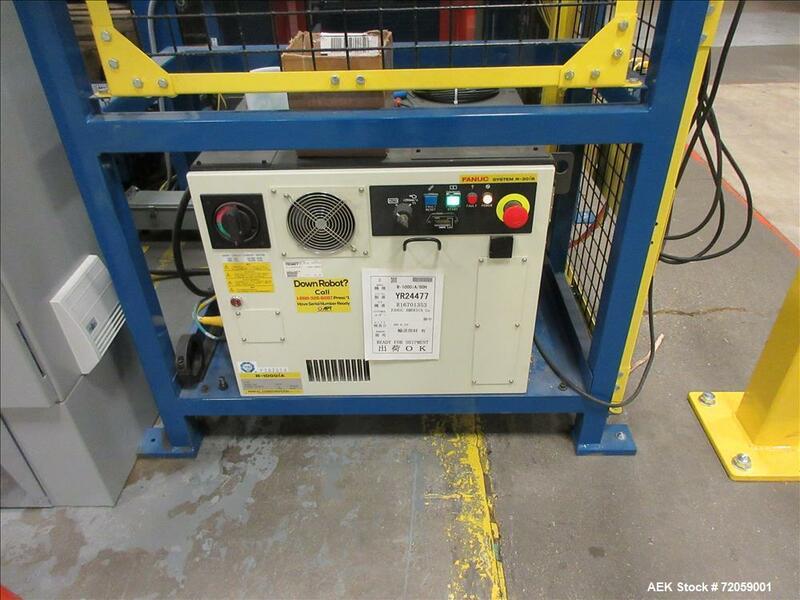 Has Fanuc system R3028 unit. 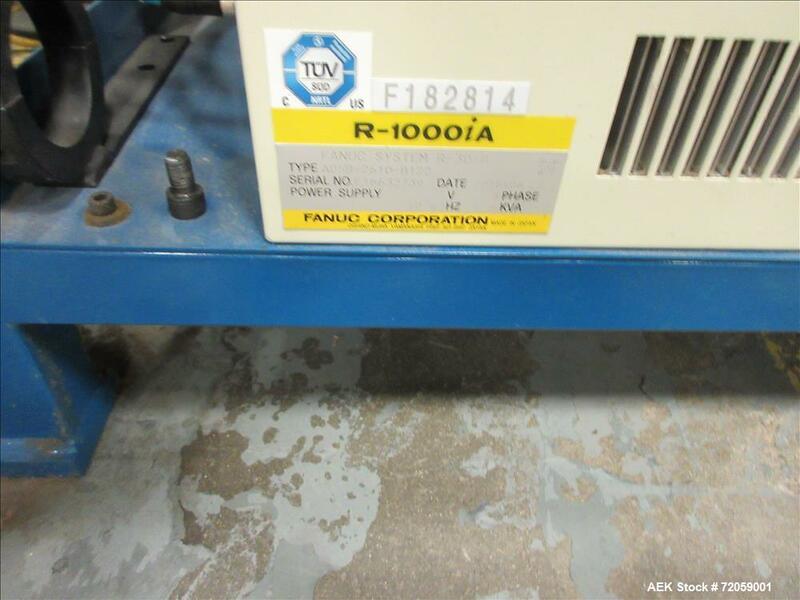 Type A058-2510-8122. 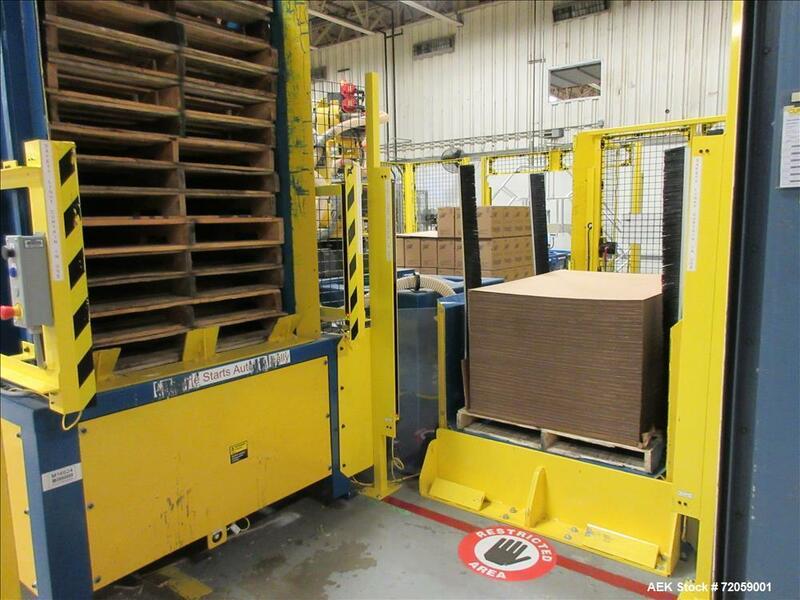 Includes pallet feed and slipsheet feeder.